Enjoy Summer in Victoria. The beautiful 2 bedrooms, 1 bath executive upper suite in a renovated turn of the century home has it all. Newer kitchen with dishwasher, washer/dryer, bamboo floors, renovated bathroom with beautiful finishes, etc. Walk to town, the beach, the park. Wifi and utilities included. Fully furnished with everything you need. Small private garden area with bbq. Located on South Turner St near Niagara St. Amazing area, quiet street of beautiful homes. 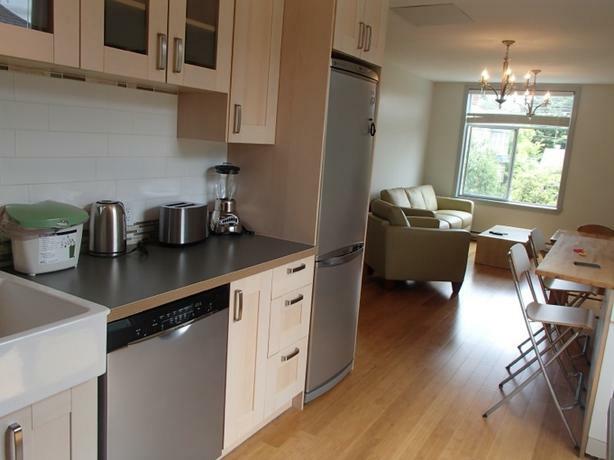 Short distance to groceries, Beacon Hill Park, busses, etc. Rates are Negotiable For Long Term Rentals.